Apex domestic violence lawyer Kristi Haddock advises and represents people facing criminal charges for domestic violence often described as spousal abuse, spousal battery or domestic dispute, such charges do not always reflect a case between married people but include those living in the same location (cohabitation), or sometimes just engaged in a dating relationship. Such cases can also lead to violation of a domestic violence protective order or DVPO. As a former prosecutor, Cary domestic violence attorney Kristi Haddock offers a comprehensive understanding of the criminal justice system. He understands the right steps to take in developing an aggressive defense strategy focused on securing a dismissal or minimizing any potential penalties associated with a conviction. Domestic Violence cases have become extremely political and are regularly treated as “guilty until proven innocent.” Even with minor cases, that do not involve a documented injury, proactive and rapid action by a caring defense attorney may be the key to not only avoiding a damaging no contact order, but may play a significant role in custody issues and an eventual resolution in the case that does not result in the loss of firearms, tragic orders separating you from your family and other consequences that can interfere with work, school and life. Speak to a Cary Domestic Violence Lawyer Today! For a free initial consultation about your legal options for resolving a misdemeanor or felony domestic violence assault charge, contact Attorney Kristi Haddock in Cary today. Contact us online or call 919-585-1486 for your free case evaluation with our Cary domestic violence attorneys. 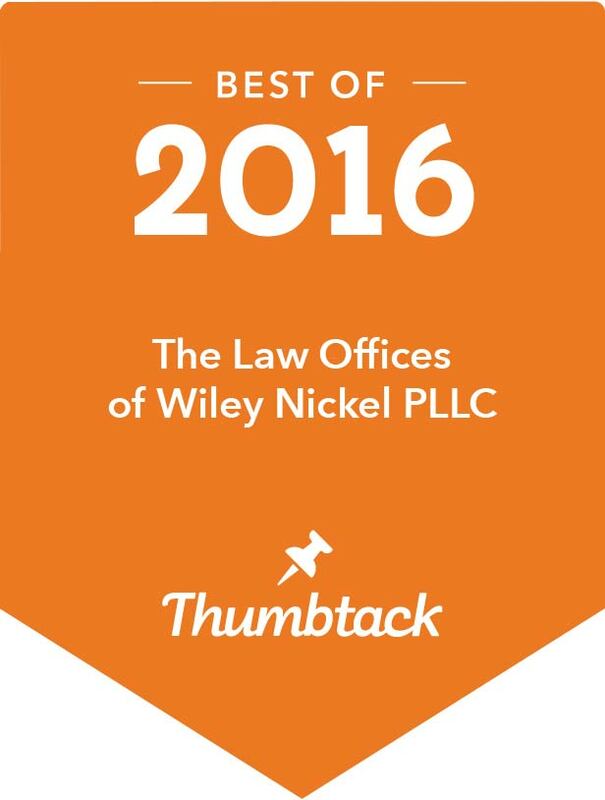 At the Law Offices of Wiley Nickel, we are committed to helping you achieve a resolution to your immediate problems, while seeking opportunities to improve the troubled family dynamics that might underlie it. In domestic violence cases, the district attorney and the judge will be especially interested in what you’re willing to do to improve relationships, conflict resolution skills, and anger management. Your demonstration toward positive change will often make the difference in a good or bad outcome for your case. Our ability to connect you with the programs and services that are right for your circumstances can give you an extra layer of legal protection. At the same time, we work hard to help you get the most out of the presumption of innocence that stands between you and a conviction. If you are looking for Domestic Violence Attorneys in Cary please Click Here. We also keep in mind the additional risks that licensed professionals, immigrants and university students might face when they’re charged with domestic violence offenses in North Carolina. We handle Domestic Violence and Assault cases in Wake County North Carolina. To learn more about our ability to protect your interests, contact the Law Offices of Wiley Nickel, PLLC in Cary; Contact us online or call 919-585-1486.